Anyone Recently Discover a New Blend That They Absolutely Love? Recently I've discovered two new to me blends that I will be ordering more of for sure. I don't often try a new blend and find I like it so much after smoking it for a couple of weeks or so. I may come back to a new blend from time to time, but these two I can't help smoking one or the other every day. I'm sure the desire will wear off after a while, but I feel I'll always find these in my current rotation. First I tried Peterson's Hyde Park, which is a broken flake, and I know is a love or hate blend for many. My surprise from the description was that I really didn't taste the maple or even much rum said to be in the topping. Whatever topping is there is quite tastey, but the noticeable Lakeland essence was the real surprise! Certainly not as strong as most Lakeland essences, but the mix of the tobaccos and other flavors keep drawing me back in, but then again I like Lakeland flavors. The other one I found I'm drawn to is Rattray's Exotic Orange. This is another tobacco I tried thanks to Duane the Master of the Black Frigate. 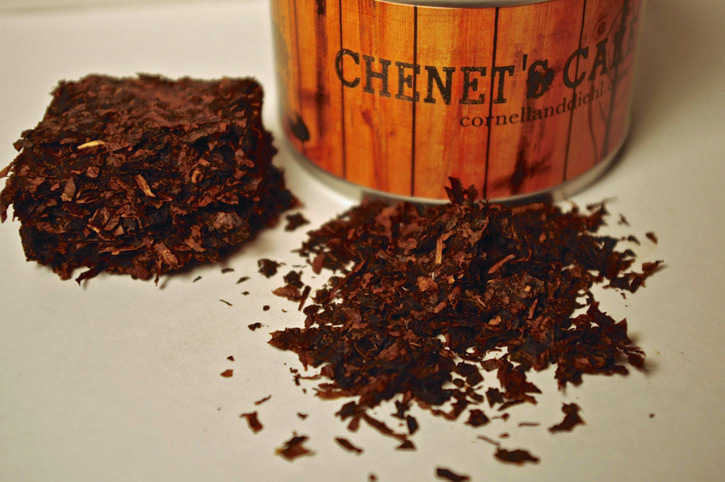 One of the most interesting aromatic tobaccos that I've come across. One thing I noticed though, is that when I draw through the pipe prior to lighting to test the draw, it tastes just like what I remember so many tobacco shops smelled like in the 80s and 90s. I have not noticed that as much with any other blend. Smoking it doesn't relate to that memory, but it has the best flavor of real tobaccos with a bit of orange and vanilla. This is just a really nice relaxing smoke for me. I'm sure that if I continue to smoke these blends out of the same pipe all the time they would ghost them, so I usually smoke the Hyde Park in pipes I would normally use for Lakeland blends, and the Exotic Orange in the pipes usually reserved for aros. Have any of you found a new blend that you are particularly enamored with? Made my wonder if all those tins I try are a waste of money. A Forums member gave me a big tin of Frog Morton Cellar about two years ago, along with an amazing estate pipe. For which thank you again! I recently opened the FM Cellar and was tentative about it until I packed it in a really large bowl, and that brought it to life. It's in the rotation now, and is good every time. Germains Royal Jersey Green. It blew my mind with the balance of casing and naturally sweet tobacco. But, I tend to smoke through the tins too fast once I've popped them. They are lucky to last longer than one day on me. But, for the first time ever I'm awash in stinginess and don't want to share it or the retailer because I want it all for myself. I've not had much luck recently, but haven't tried too much new stuff either. The last one that stuck with me was War Horse Bar Red. The stuff is awesome in my opinion and always hits the spot right after a big meal. I tried Dobie's Four Square Cut Plug thinking it was a straight cut plug, but it had coconut oil lathered all over it like it was made to be smoked while sunbathing; man was it bad. I haven't made a go of anything new since. The one thing about that Cut Plug is that it was no weakling, which I thought was the best thing about it. I just discovered Vapers. I've always been turned off by the "peppery" adjective used in so many reviews and I've not been tempted to try them. Peppery just seemed rather incongruous to savory pipe tobacco as I saw it. Recently, I discovered a tin of Escudo that I bought years ago and hidden away, forgotten. I thought what the hell, I'll give it a go. Man, what a revelation! Now I'm on a Perique tear sampling all I can get my hands on. Interestingly, I haven't found Vapers peppery, but fruity and sweet. Eight years into my pipe smoking and such a discovery......! Nothing recent! But as to VaPers, I so wish I could really like them. So far, ok but I always fall back to my English blends. When VaPers were too spicy for me, I tried Marquee Viprati and Virginia spice, they did good for me. Peter Stokkebye Luxury Twist Flake is my new found favorite. It may even surpass my beloved Pegasus. Sir Walter Raleigh Aromatic - I was very happily surprised at what a tasty smoke this is. C&D Bayou Morning, Orion's Arrow and Oriental Silk. Just tried these recently and wish I had tried them earlier. I finally tried Lane 1-Q, realized it's the aro I've been looking for. Been smoking alot of Frog Morton, saving my 965. Rattrays Red Rapparee, Black Mallory and SToP Warhorse Bar. I had to put the Warhorse Bar down at the 1/2 way point and go walk around for a bit. It was still very tasty and I'm still a fan, but WOW! 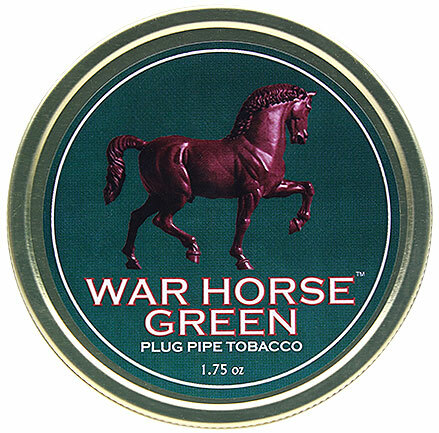 That being said, I will still continue to smoke the Warhorse Bar, but probably in a smaller pipe. The 2 Rattray blends are definitely part of my rotation for now, tasty stuff! Hyde Park is the only Lakeland I've ever smoked (or will ever). It surprised me too, as it was billed as an English. I got the tin as a freebie with a Peterson pipe (a system, equally as gross as the tobacco). On the first puff I nearly gagged, and was sure there was some heinous mistake, like maybe the janitor at Peterson had spilled toilet disinfectant into it. And if it's not as strong in essence as other Lakelands, I shudder to even contemplate the velocity of projectile vomit those would induce. As for the question about discovering a new blend to love, tbh I'm reluctant to even try any new ones lest they become unobtainium in the near future. I'm still steaming over the impending demise of Dunhill blends, as I recently rediscovered Aperitif, and my alltime favorite VAPer is DNR. Rattray Reserve 7 and Presbyterian. Both so very interesting. Just in the last 2 weeks falling in love with Old Dark Fired. I'm still yet to try this one, but need to someday. shutterbug: I guess one mans treasure is another mans trash. No problem, but definitely stay away from Ennerdale Flake! As for Rattray's Exotic Orange, it's apparently already become unobtainium. stvalentine: I like Cabbies Mixture too, but it's under $10 a tin, which seems pretty reasonable to me. I take it you don't live in the US. I'm with oldreddog. On a whim, I ordered McC's 2035 and was just blown away with how good it is. I have been on a Navy flake kick and this is one I had never tried. I will be smoking a lot of this. C&D Riverboat Gambler and Lunchtime Blues. The stuff has been blowing me out of my chair EVERY TIME since my first whiffs not too long ago!!! Sablebrush---- can you elaborate further on what you mean? While most list some highly scarce and obscure brand as some new great discovery, it is saying quite a lot to "discover" something wonderful that most would consider so close under their nose they never would even try it and is both cheap and readily available. MacBaren Club Mixture. Little thin spicy coins. It's just so Danish. Hearth & Home Marquee Fusilier's Ration - Very tasty, an English blend with a light topping. All of the bulk McClelland flakes, stokkebye luxury twist and all the H&H marquees I've tried. The reason I smoke a pipe. The reason I prep the tobacco, pack the ways I do, care for my pipes the way I do, is to enjoy the pleasure of a flavorful smoke. It's not about rarity, or having unobtainium to brag about, it's about flavor. And I really like the flavor of SWRA. JimInks had sent me some to try as he's a great fan of it, and I found it delicious, a very fine, mild, round, flavorful blend of Virginias and burley that is well served by the touch of liquers that serve as the topping. It was easy to light, smoked well, and left no bad aftertaste. Because I'm a very slow smoker I didn't experience any of the issues with it that some have reported. I could enjoy SWRA immediately, rather than wait while it dried, or have to cut, cube, fold, spindle, or mutilate. I didn't have to genuflect, supplicate, or sacrifice a virgin to get it to perform. 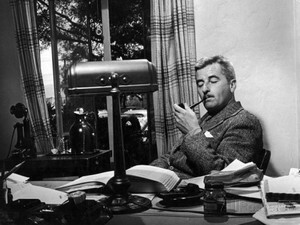 I could just load up a pipe, relax, and enjoy. We like different kinds of flavors, and if you look at the reviews, a lot of people either love SWRA or hate it. I love it. I certainly have plenty of unobtainium and hotly pursued blends in the cellar, and many of them didn't bring me the simple pleasure of an enjoyably flavorful smoke that SWRA provided. Not everything good is rare or expensive. After years of smoking some of the most sought after rare blends I'm enjoying the straightforward unfussy flavors of OTCs. I've been reaching for Chatham Manor more than for Motzek Strang, Director's Cut, or Stonehaven. Who woulda thunk it. Coming from the two of you, that is quite the endorsement. I smoked a lot of the OTC's early in my smoking days like most, but a lot I simply never got around to. I suppose like many people I thought, there is a reason why this stuff is behind the counter at the supermarket, there is a reason for all these hundreds of other blends and to get "the really good smoke" you had to look to the obscure. But in the end, when a person goes out and tries many others and can still come back to a classic and be impressed, that shows that its makers really knew what they were doing all along rather than just out to create the newest "smoke of the week." And SWRA has certainly endured the test of time. I've smoked hundreds of blends but after a while you realize that many are just further variations on a theme in fancy packaging, and while I still go out and try new blends out of curiosity, I am also realizing that there are certain fundamental truths to good tobacco that is not some "secret" just discovered last week for the fickle smoker. Thank you, Sablebrush, when I read your endorsement above, it just stood out as having that intuitive ring of honest wisdom to it. The fairly molasses sweet, nutty, very chocolately, earthy burley takes the lead over the lightly grassy, citrusy Virginia. The Dutch and French liqueur toppings are difficult to define (I notice anise and chocolate, among something else), and while they tone down the tobaccos, they also work well in concert with them to provide a very consistent flavor from start to finish.The nic-hit is in the center of being mild to medium. The taste level is a little closer to medium than it is to mild. It might burn a little warm if you are a very fast puffer so I suggest a moderate cadence. I have never experienced tongue bite from it. It does burn slightly more than an average pace, but even and clean with few relights, and just a little moisture left in the bowl. Has a very pleasant after taste and room note. 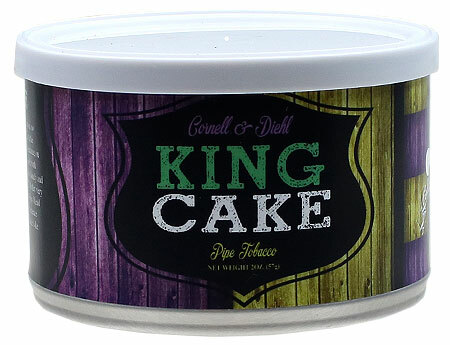 Performs well in repeat performances, and is an all day smoke. It won't ghost your pipe. And, btw, when you open a tub of it for the first time, the smell is wonderful! Late to the party, but I just finished my first bowl of Black Frigate and have to admit that it is better than what I was expecting. This was one of the 5 samples a generous forum member sent me. I just lit up the second sample, Vieux Carre, and it is feeling like a winner too. Thanks Jim, wonderful review. You make the stuff sound great! I will have to try it. Sounds delicious. PS Proper English ... well, it's stogy, but after two or three puffs, also entirely satisfying to me, a sort of mellow English blend. And for those who like mild but complex English, I'd highly recommend Nat Sherman 536. SWRA----that was the first blend I tried back 4 years ago. I enjoyed that first smoke, and have only smoked it again maybe 3 times since. I'll have to revisit it again soon to remind myself of it's taste. Hopefully I will appreciate it a little more after trying many other blends since that time. With all this talk about the depletion of McClelland's depleted Syrian Latakia stock, I was feeling a little blue a couple weeks ago. To combat this, I popped open a 100g can of Frog Morton Across the Pond and smoked it almost exclusively for several days. (Yes, mso489, in wide bowls. ) Mellow, smoky and sweet and almost creamy; I visited hillsides and marshes without leaving my urban neighborhood. Arresting, engaging smoke! I guess I've mentioned a couple times here that I revisited Sir Walter Raleigh (Regular) this past Thanksgiving and really got to digging the stuff. I've started the collection of tubs of SWR now. After JimInks's and sablebrush52's reviews/impressions on SWR Aromatic, I'm feeling inclined to skip the re-introductory pouch and jump straight to tubs of this as well. It's so frustrating to hear people talk about Hyde Park as a floral "Lakeland-esque" tobacco blend, not because I don't believe y'all but I just personally don't get that from this blend, at all. I just get maple and rum, I get zero florals, zilch! I keep hearing folks say that it's has a Lakeland essence and I want so badly for that to be the case for myself but alas, I've had no such luck. Maybe I'll try another tin someday. As for new blends that I have recently come to love. Seattle Pipe Club's Rainier Levant seems to hit my palate perfectly. Love all the Seattle Pipe Club blends, though. SWRA was the only OTC I would smoke, especially once Amphora Brown disappeared from these parts in the early 1980s. Really glad Amphora Brown is back, and hope it stays. Aside from me needing to leave it out at least 24 hours to get rid of some of the PG, it tastes like a medium-strong natural blend, unlike the rest of the mild-as-air heavily-topped OTC's. The series from the great RussO using bright Canadian Virginia that is fermented using techniques borrowed from Perique production added a whole new dimension to my taste and flavor spectrum. The RO Acadian Gold is a knockout for flavor, and even when fresh, burns cool and smooth. Somehow this young blend tastes as if it has already aged a few years. The Acadian English and Acadian Perique are great in their own right, and are straightforward extensions of the core VA. I am really on a burley kick now and been smoking alot of Chatom Manor. friend sent me a sample then I ordered a tub the next day. Initial impressions of these 3 blends: Wow, they're really good!!! Within the last month I tried McClelland's 5100 red cake. It's very one dimensional, being sweet, smooth and creamy but man is it good!! New to pipe smoking but have bought about 20 different types/brands/cuts. I like some of them, can't stand some but I have gone through 2 pouches of MM Great Dane. It really satisfies and I don't think it's an aromatic. Reasonably priced too.